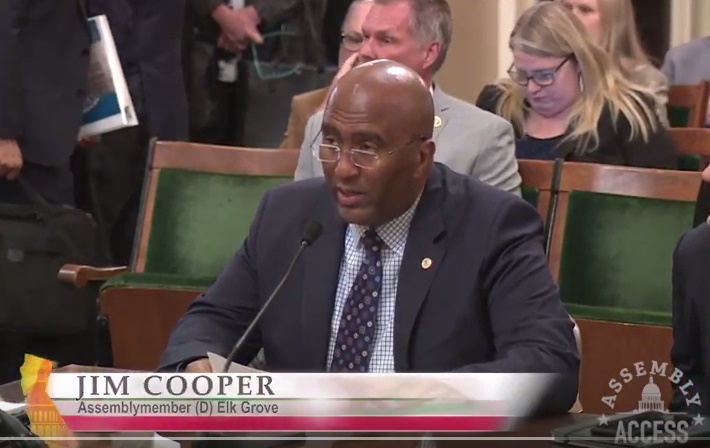 A bill sponsored by California Assemblymember Jim Cooper (D - Elk Grove) was vetoed yesterday by Gov. Jerry Brown. Assembly Bill 1120 sought to strengthen regulation on the sale of butane. That substance is used in the illegal production of so-called hash "honey oil" and has been linked to numerous explosions. In testimony before the Assembly's Public Safety Committee on April 4 (see video below), Cooper said butane presents a significant public safety hazard. Cooper said the most common production sites where the butane is used is in homes, apartment complexes, and vehicles. "These explosions happen, unknowing victims are severely burned, wounded, or killed in the places where they should feel the safest - in their homes," Cooper told the committee. "A B 1120 will provide public safety personnel and fire investigators a way to locate and shut down dangerous labs before they explode." The bill would have required retailers to maintain records and restricted the amount that could be purchased in one month. In his veto message Brown said he sympathized the intent of the legislation but said the bill was too expensive to implement and it would not solve the problem. Brown also noted the law would hurt an industry that has several legitimate uses. Veto message best viewed in Microsoft Edge browser. Guess the oil/gas lobbyists win out over honey oil explosions! This bill is too expensive to implement and it would not solve the problem. But Brown's "legacy" programs (High Speed Rail and Delta Tunnels) are cheap and solve everything. Hah!